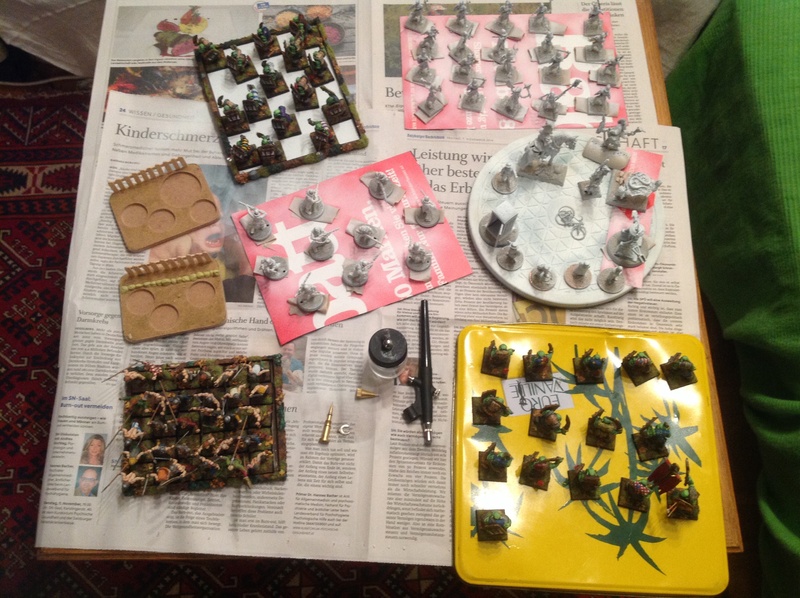 This is the Command bases for my Dad’s Army Bolt Action unit. I am very happy with the way they are turning out. 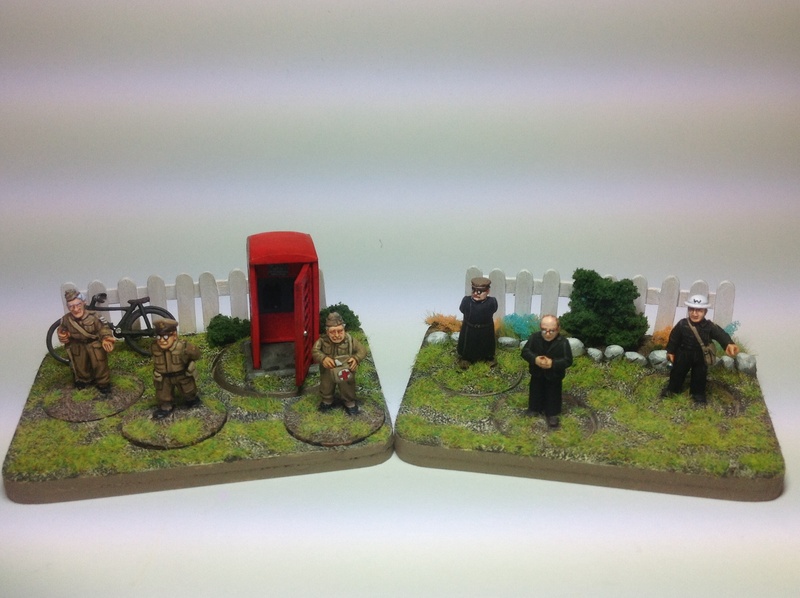 Some more work avoidance, the Vicar and the Verger from my Bolt Action unit. 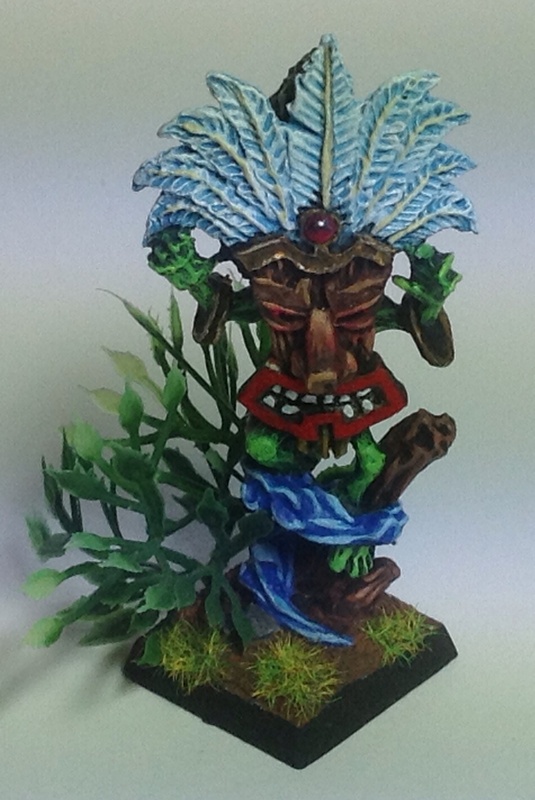 Although they are on the work list I really should be concentrating on my Fir Bolg. 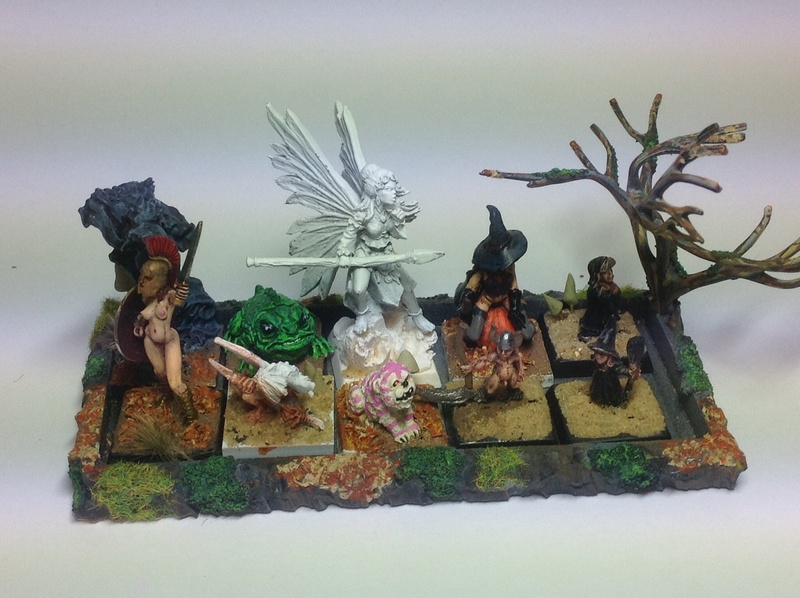 I just don’t fancy batch painting at the moment. 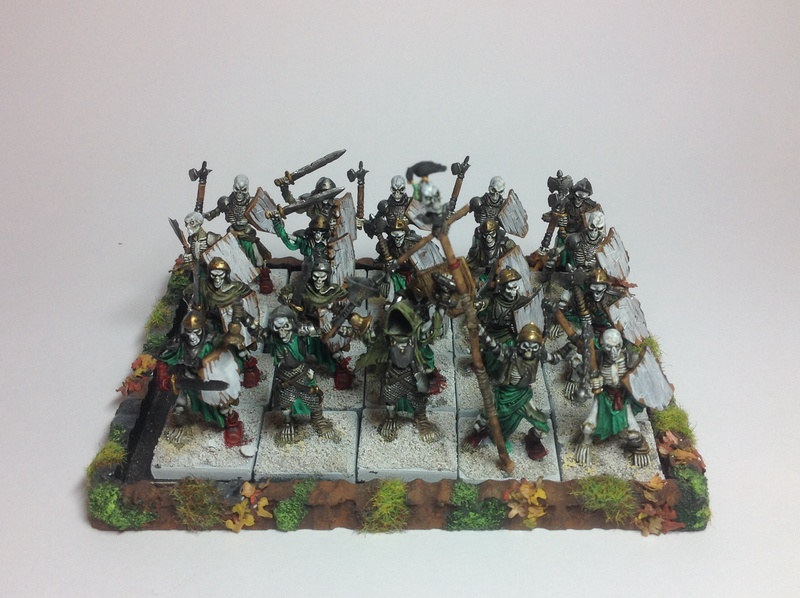 Part of my work for this month is to finish a unit of Home Guard for Bolt Action. 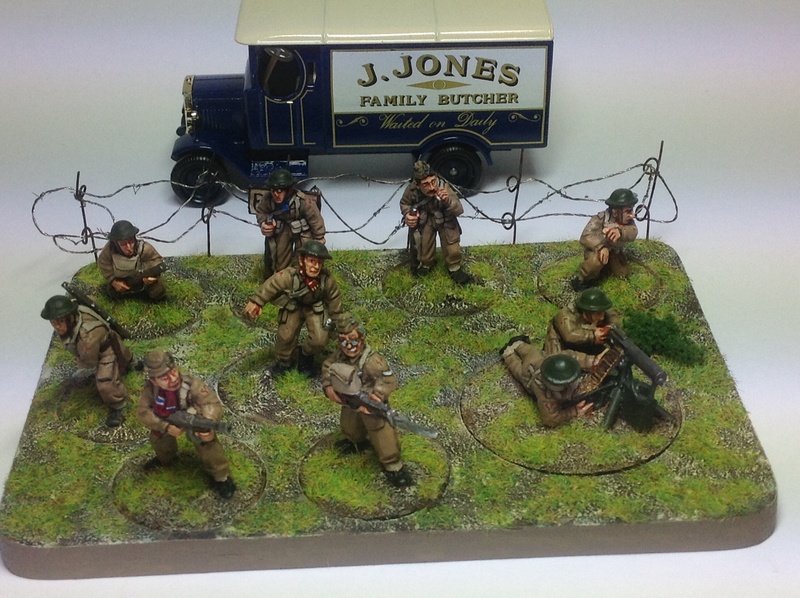 I’m using Foundry’s Home Guard Heroes which seem to bear a strong resemblance to the characters in Dad’s Army. 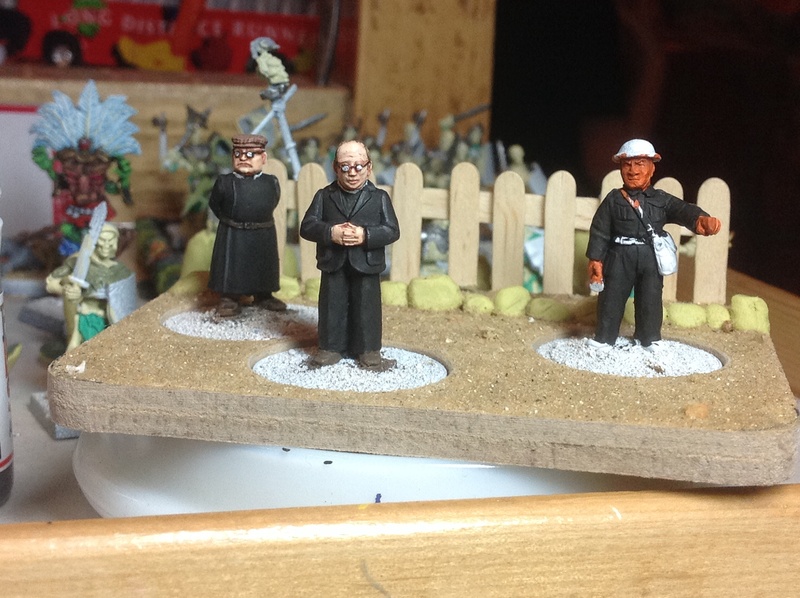 The main characters were prepped and ready to paint but I was missing the Vicar, the Verger and Hodges. I remembered they were in storage with the rest of our belongings from England. In the past I had relied on my Wife to drive me there or I caught a bus. When the Wife drove me there we were always on a tight schedule. It was either the Boy’s short attention span, it is a bit boring sitting in a large warehouse surrounded by boxes, or trying to fit the visit into the couple of hours the Boys were at kindergarten. Catching the bus always seemed to involve long waits and of course paying nine euros for the journey. As I’m not earning I’m trying hard not to impact on the family finances. So yesterday I got thinking, I wanted a cheap way to get to the lager and I wanted to have all the time I need without being dependant on anyone. The solution was obvious when I thought about it. 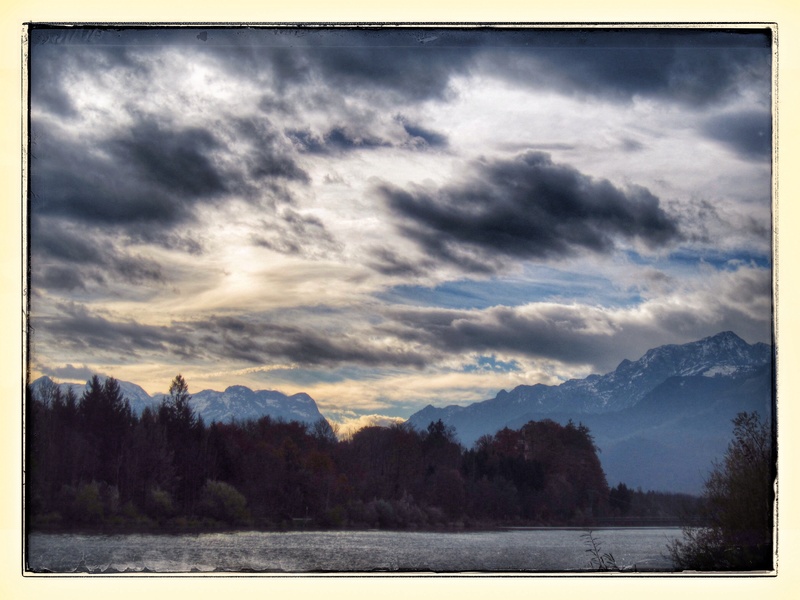 The lager is on the banks of the River Salzach and we live close to the river. So all I have to do is cycle there! 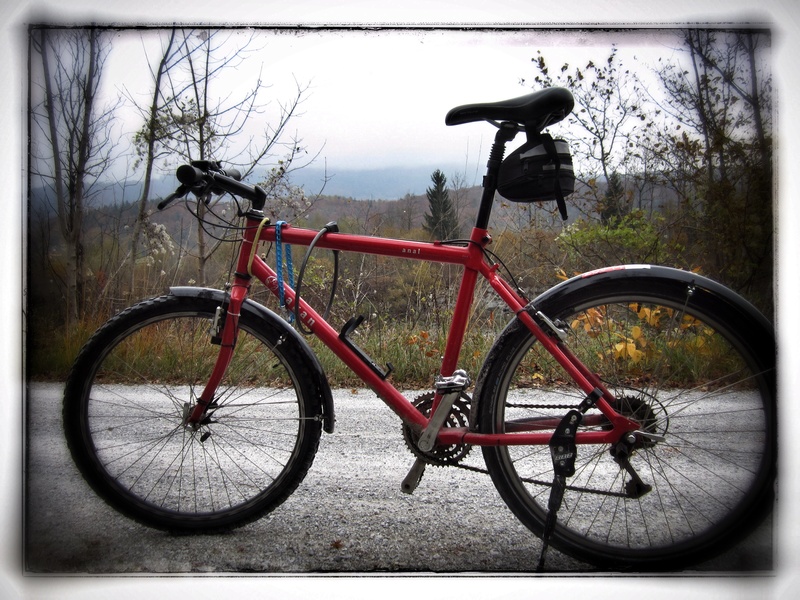 So I mounted my rusty steed and set off this morning. The journey took about forty five minutes and it was rather beautiful; the river on one side, forest in full autumnal splendour on the other and snow capped mountains ahead. When Digging through my stuff I found so many distractions. I can see why it is such a good idea to keep my Lead Mountain out of sight. 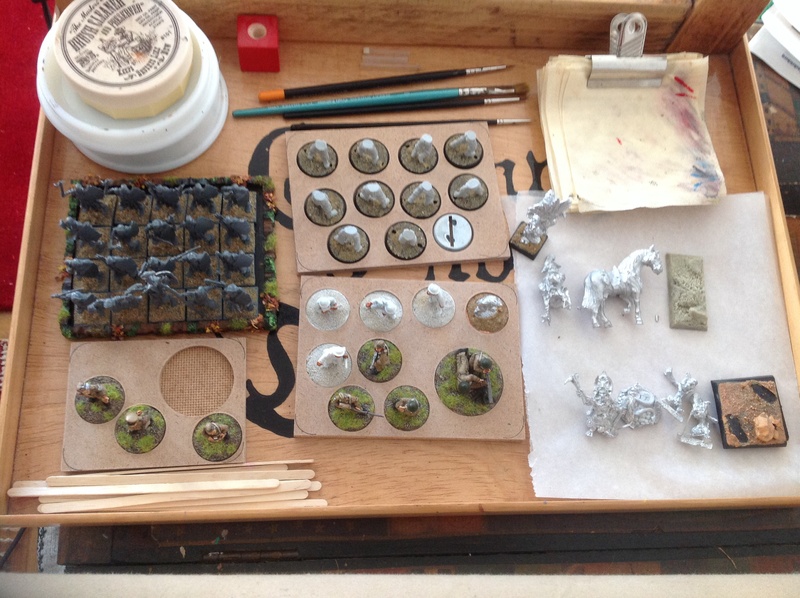 Over half an hour was spent looking through boxes and imagining painting the figures within. 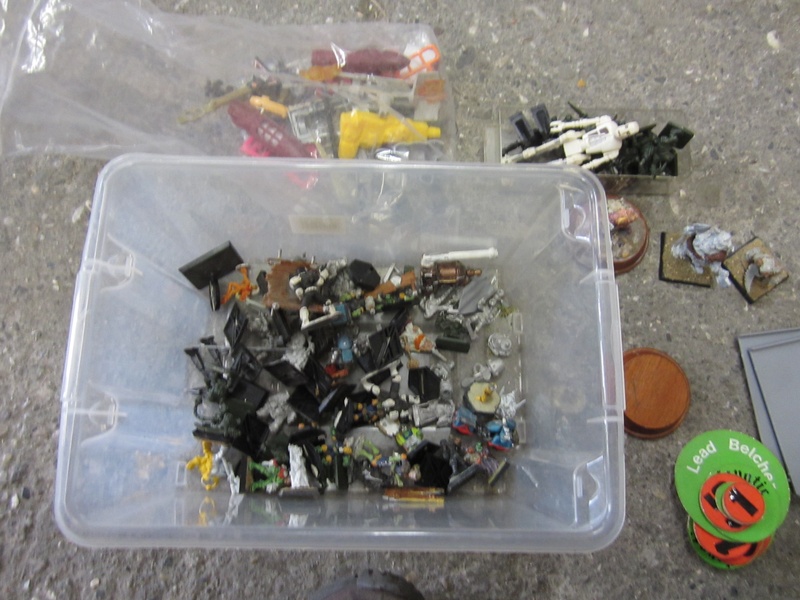 I did uncover a box of Talisman and Judge Dredd figures that I’d forgotten about. Then it was time to wend my weary way back home. This gave me some thinking time. I always think better when I’m out walking or cycling. After a round trip of just over twenty two kilometres I got home with the figures I was after and time away from the flat. Salzburg is pretty, but there isn’t a whole lot I want to see or do there, so I tend to spend a lot of time in the flat. 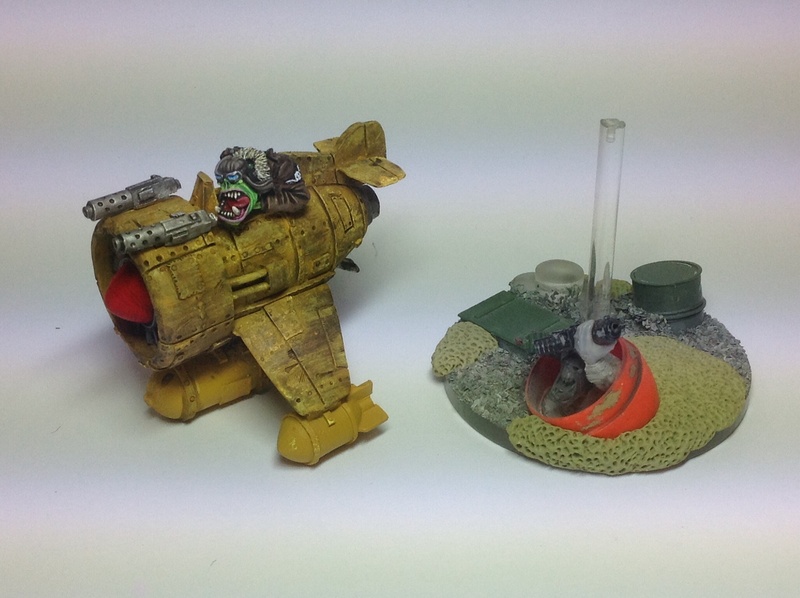 Painting and blogging are the things that keep me sane.